One of the key components for initial application to become an RTO is a comprehensive RTO business plan. It allows the governing body to really get a feel for your proposed business. It will also aid in gaining finance should your require. It should outline the Who, What, Where, When, How and Why of your proposed business. Do your research – You will need to make quite a few decisions about your business including structure, marketing strategies and finances before you can complete your plan. By having the right information on hand you can also be more accurate in your forecasts and analysis. Determine who the plan is for – Does it have more than one purpose? Will it be used internally or will third parties be involved? Deciding the purpose of the plan can help you target your answers. Remember you are developing an RTO Business Plan, not only for yourself and your bank, but also as a key component for initial application. Your Business Plan will be risk assessed by the governing body, so make sure it is quite comprehensive. Do not attempt to complete your business plan from start to finish – First decide which sections are relevant for your business and set aside the sections that don’t apply. You can always go back to the other sections later. Get some help – If you are not confident in completing the plan yourself, you can enlist the help of your support group; friends, family, accountant and business advisors such as ourselves. However, in essence you are the one that knows your business best. Actual vs. expected figures – Existing businesses can include actual figures in the plan, but if your business is just starting out and you are using expected figures for turnover and finances you will need to clearly show that these are expected figures or estimates. Write your summary last – Use as few words as possible. You want to get to the point but not overlook important facts. This is also your opportunity to sell yourself. But don’t overdo it. Review. Review. Review – Your business plan is there to make a good impression. Errors will only detract from your professional image so ask a number of impartial people to proofread your final plan. 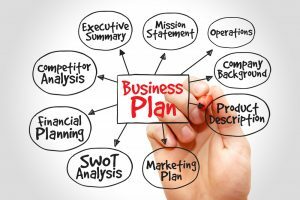 What to include in a business plan? Title page – This describes what the plan is for and includes general information on your business. Business Summary – A one-page overview written after your business plan is finalised. 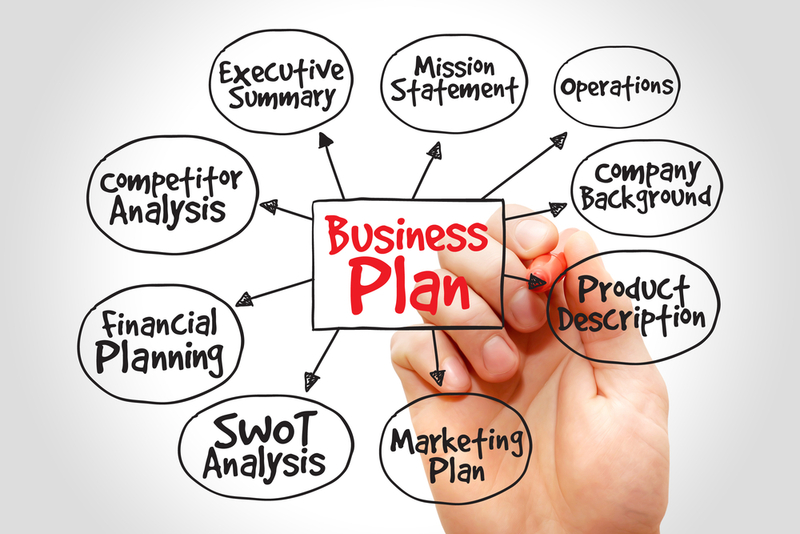 About your business – This is typically called the management plan or operations plan. It covers details about your business including structure, registrations, location and premises, staff, and products/services. About your market – This is the marketing plan. It should outline your marketing analysis of the industry you are entering, your customers and your competitors. This section should also cover your key marketing targets and your strategies for delivering on these targets. Dont forget a SWOT! Stengths, weaknesses, Opportunities & Threats. A SWOT shows you have really considered your market and you have done your research. About your future – This section covers your plans for the future and can include a vision statement, business goals and key business milestones. About your finances – The financial plan includes how you’ll finance your business, costing and financial projections. Supporting documentation – List all of your attachments under this heading in your plan for referral. For example:financial tables. Review it regularly. Business planning is an ongoing business activity. As your business changes many of the strategies in your plan will need to evolve to ensure you business is still heading in the right direction. Having your plan up to date can keep you focused on where you are heading and ensure you are ready when you need it again. Remember a Business Plan is a live document so it really does require to be reviewed at a minimum every 12 months. Distribute your plan. A business plan is a blueprint for how your business will run and reveals what future direction your business will take. Understandably you will want to be careful who you show your plan to and avoid your competition seeing it. Contact us to email you out a Business Plan template in word format to start the process.